This is a brand new server (03.19.16). 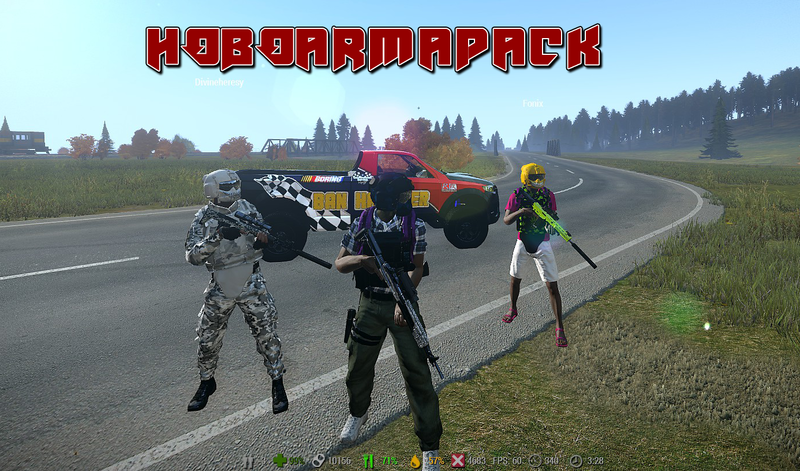 Our server is home of the HAP mod, created by HoboSavior. 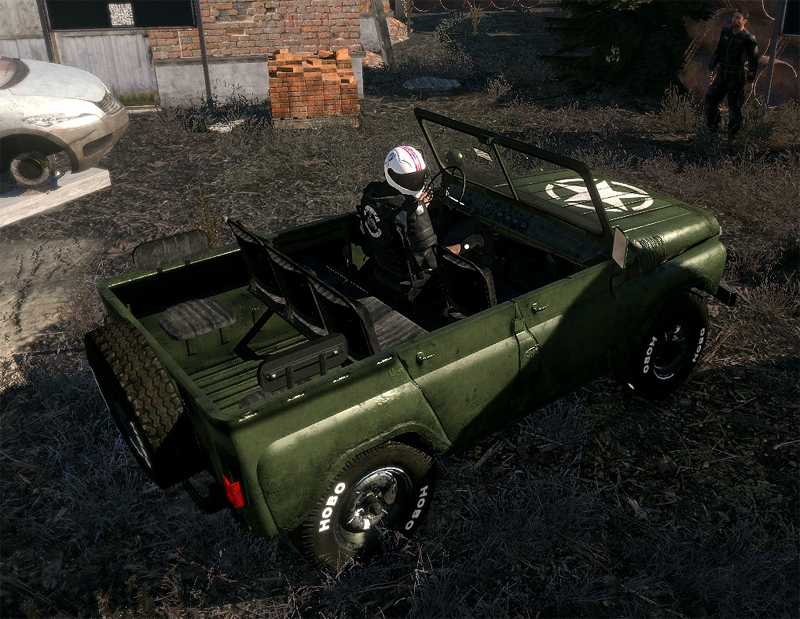 It features over 300 new items and textures including vehicles, weapons, helmets, backpacks, vests and uniforms. We even have tons of new weapon and vest textures for the Marksmen gear! We will continue to add new items and textures to the HAP mod every two weeks allowing us to continually bring in more things the players want to see. This is a brand new community and we need your help to make it grow. We currently have player ranks, roaming ai (not OP either), ai missions, custom map edits and more. Below are just some of the items featured in the HAP mod, and we'll be adding more and more based off what you want to see. Visit us at www.SonsOfArma.com to learn more. 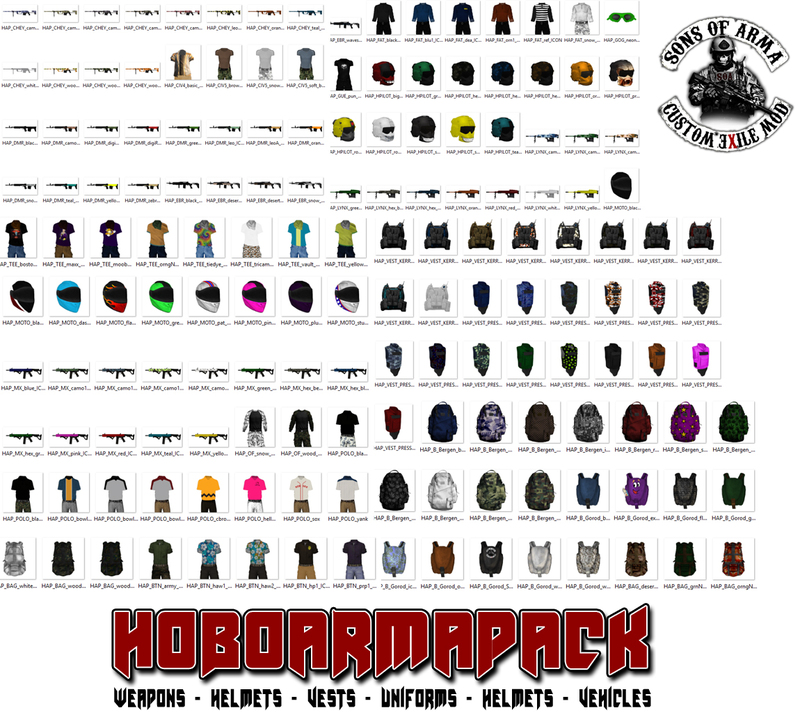 we created HAP mod and we add new items to it every week! gotta watch out for these AI in the contamination zones! Great server, the new skins all look amazing! 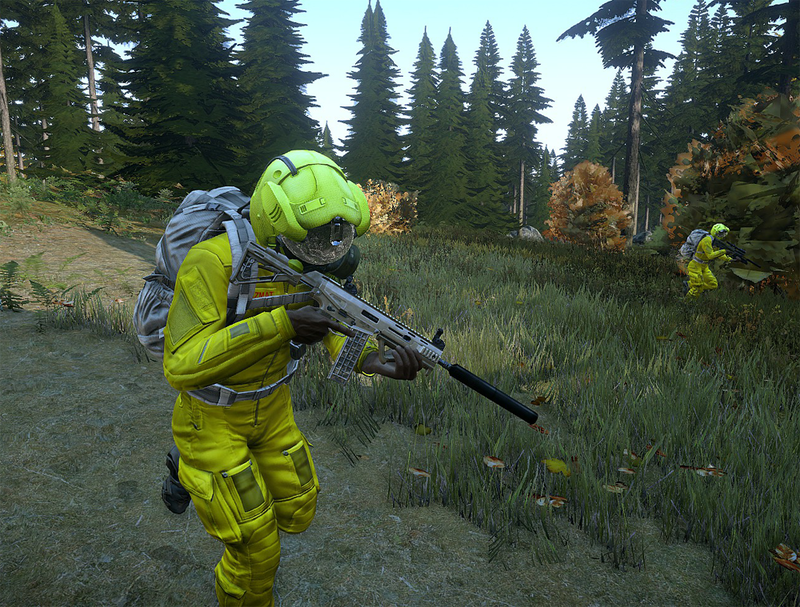 Allows the player to customize their gear in any way they want, making everyone unique. Hobo has put up great servers in the past (Notably; Fleshtown, The Revolution Gaming) and is now back with a new one. He is usually on to answer questions or another staff member can as well. He made a custom mod this time around so cool skins and objects can also be used on the server. Sons of Arma has an exciting future ahead of it with more content being added daily and balancing of missions/spawns as soon as there is a problem.